One of the most discussed topics in the chess world is "how to improve your game". NM Dan Heisman starts explaining what "play strength" is. There is a bit of a misunderstanding about this important concept in chess. Play strength is not your rating nor, and this might sound odd at first, your chess knowledge. You can easily see this watching 9-10 years old talented kids winning games playing adults, even though there's no way they could have as much knowledge. The right sequence to get better is improve your chess strength, without paying much attention to your rating, and not the contrary. 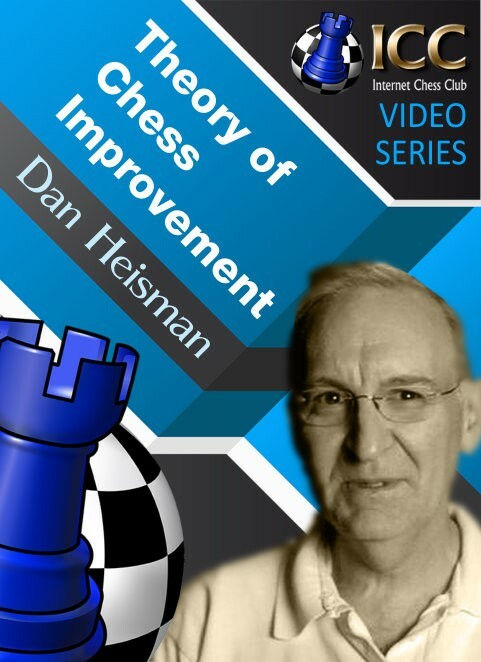 Dan's theory of chess improvement involves ideas such as "add positives" and "subtract negatives". What are positives and negatives? Don't miss this formative video, and discover this and other important ideas on how to improve your game with NM Dan Heisman! One of the most discussed topics in the chess world is "how to improve your game". NM Dan Heisman starts explaining what "play strength" is. There is a bit of a misunderstanding about this important concept in chess. Don't miss this formative video, and discover this and other important ideas on how to improve your game with NM Dan Heisman!